Detroit’s movement to oppose the city’s water and sewage department’s draconian bill collection program won a significant victory on July 29. The city’s Emergency Manager, Kevyn Orr, extended more control over the Detroit Water and Sewage Department (DWSD) to Mayor Mike Duggan. While Orr retains the authority to restructure the DWSD, the announcement means that the DWSD will suspend its bill collection program temporarily. In March, the DWSD announced that it would shut off its delinquent customers’ water. To date, thousands of Detroiters have experienced shut offs already. According to the Detroit Free Press, the DWSD shut off water to 7,556 customers. If the DWSD’s goal was to pass the costs of its financial crisis to its customers, the program appeared to work, as up to 17,000 Detroiters have entered into payment plans. Unfortunately, the DWSD turned its fiscal emergency into a human rights issue, a public health and political crisis. It is safe to assume that Orr and the DWSD would not have relented without pressure from Detroiters. Residents and activists resisted the department’s shutoffs at every turn. Detroiters have protested, blocked trucks, and held mass marches, with the July 18th march attracting over a 1,000 people. The Detroit People’s Water Board successfully lobbied the United Nations (UN) to intervene. A UN panel examined the coalition’s report and concluded that DWSD’s cutoffs violated Detroiters’ human rights. Obviously, the cut offs created serious hardships for the city’s residents. Lack of running water has worsened conditions for the city’s most vulnerable citizens. “Children cannot bathe and parents cannot cook,” the Detroit People’s Water Board’s recent report states. There are many accounts of DWSD’s malfeasance. For example, the DWSD shut off Dewilda Hershey’s water without sending a bill or notification. The Detroit People’s Water Board interviewed another woman who had to navigate the byzantine structure of the city’s bureaucracies in order to restore her services after paying her bill in full. The crisis has silenced parents who would rather not disclose their situation for fear of having their children taken by Children’s Services. Ultimately, the situation has forced residents to make unthinkable choices that no one should have to make—water or rent, water or medicine, water or food, water or family. Meanwhile, the DWSD fails to pursue delinquent accounts with local businesses, such as the Mount Olive Cemetery and the state of Michigan, with the same fervor. The city’s water and sanitation department’s situation may be a symptom of a looming water and health crisis. The American Society of Civil Engineers concluded in their 2013 Report Card for America’s Infrastructure that the nation’s water and sanitation infrastructure is failing. Regarding the U.S.’s drinking water, the ASCE reported, “At the dawn of the 21st century, much of our drinking water infrastructure is nearing the end of its useful life.” They also state that “Capital investment needs for the nation’s wastewater and stormwater systems are estimated to total $298 billion over the next twenty years.” In her Nursing Clio post about living without running water at home for thirty days, Carolyn Herbst Lewis demonstrates the larger problem with the U.S.’s water infrastructure that have created droughts and reinforced inequality. 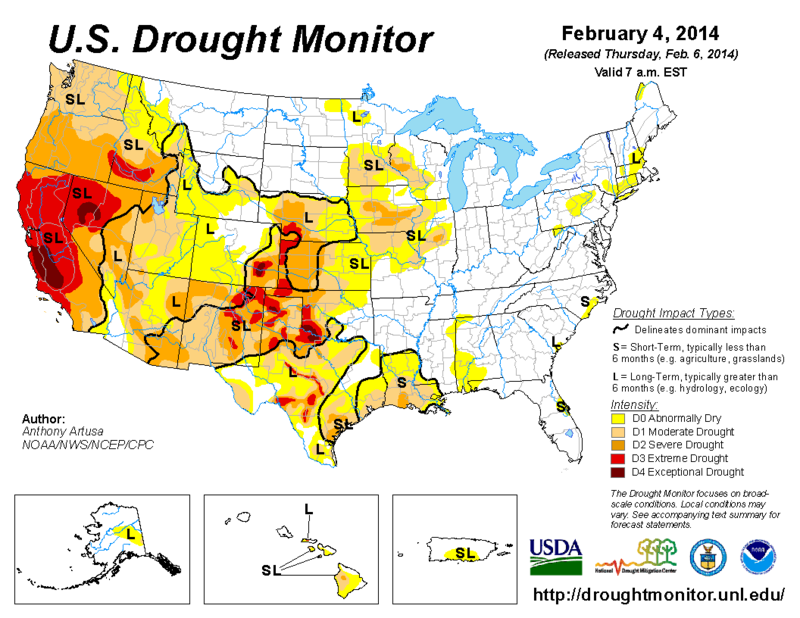 “Our former hometown in Santa Barbara County, California (like other locales in the West) is experiencing a historic drought, with water supplies at only 40% of their usual capacity. Nearly 40% of Navajo households lack a tap or toilet, a consequence of long-term institutional racism and poverty. Nationwide, hundreds of thousands of rural households live without indoor plumbing,” Lewis writes. How does one explain the DWSD crisis? It is an immediate product of the city’s bankruptcy, but it is also a product of historical structural and political forces. In the Detroit Free Press’s history of the city’s bankruptcy, the authors point to the rising costs of workers’ pensions and health care benefits as a contributing factor. However, as Jonathan Soffer argues in his political biography of New York City mayor Ed Koch, urban fiscal crises could have been prevented if the federal government would have enacted a universal health care plan during the 1970s. View of the abandoned Fisher Body plant in Detroit. Journalistic accounts of Detroit’s decline also fail to consider how the federal government’s reform of urban policies contributed to municipal revenue shortfalls. Combine all of this with deindustrialization, the suburbanization and globalization of industry, white flight and the persistence of residential segregation, declining tax revenues, rising energy prices, the restructuring of the auto industry, the failed attempts at downtown redevelopment, bad handling of city finances, and terrible Wall Street investments, and the result is the construction of a crisis in urban governance. These forces contributed to the emergence of parasitic municipal institutions like the DWSD that only serve to extract revenues from citizens in exchange for poor, if any, services. 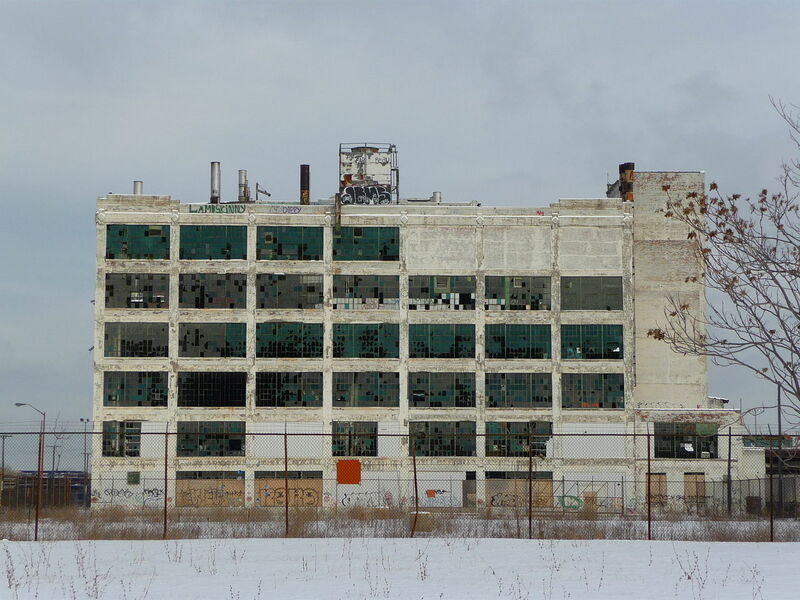 Thus, as Detroit struggled to keep afloat in the last two decades, the DWSD suffered from neglect. The department has not been able to improve or maintain the city’s water and sanitation infrastructure, especially in the city’s abandoned structures. The Detroit People’s Water Board states in their report, “Until recently, every winter, hundreds of aging pipes spewed water from leaks as the water had not been turned off in thousands of abandoned homes and boarded up businesses.” It is estimated that the DWSD would need around $5 billion to modernize the city’s infrastructure. The DWSD is also $5 billion in debt. Urban fiscal crises such as New York City’s in 1975 and Cleveland’s in 1978 created opportunities for private capital to gain control of public goods and urban governance. Creditors in NYC asked the city to cut its welfare services and charge tuition in its university system. 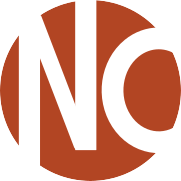 The banks and Cleveland’s private electric company, Cleveland Electric Illuminating Co., sought to privatize the city’s public electric company. Detroit’s case is similar. Now creditors and investors see the DWSD as a potential investment, if only the DWSD would settle all of its customers’ delinquent accounts. The activists’ suspicions that the DWSD’s water shutoff program is an effort to lay the ground work for a private takeover is not unfounded. The Free Press recently reported that Detroit’s emergency manager, Kevyn Orr was reviewing offers to privatize the department. The water crisis does not just highlight the stark gap between the rich and the poor within urban America; it underscores the asymmetrical power relations between the one percent and the city’s citizens. Thousands of Detroiters either have to survive without water services or enter into draconian payment plans. Meanwhile, billionaire developers such as Dan Gilbert and Christopher Ilitch announce high-end development projects aimed to perpetuate the gentrification of downtown. Members of the Detroit People’s Water Board are calling for the implementation of a robin hood tax as a means to subsidize infrastructure projects. Taxing corporations and redistributing revenues would help restore the balance between private and public interests. Detroiters could also take a page out of the 1970s urban progressives’ playbook—call for the city to create a community development bank democratically controlled by the city’s citizens. There is no doubt that corporations and real estate interests should pay their fair share to produce and sell products and services within cities, but they and city governments should turn over profits and revenues to the communities themselves. If Dan Gilbert decides to invest in downtown Detroit, he should combine his investment with a significant deposit into the bank—without any strings attached. Such an institution would support ongoing community development efforts in the city, especially those spearheaded by activist groups such as the Detroit People’s Water Board and the Boggs Center. It would also help address one of the biggest problems in urban America—the asymmetrical power relations between corporations and real estate interests and communities, workers, and citizens. Orr’s decision to relinquish total control over the DWSD is good news. However, a positive outcome to the whole crisis may be less secure considering how Mayor Duggan decides to handle DWSD’s debt. Will the fifteen day moratorium on shut offs be extended or become permanent for the city’s most vulnerable citizens? How will Duggan and city officials proceed with collecting bills? Will the next program be less punitive? We will have to wait to find out. While the DWSD has halted the unjust shut offs, the threat of injustice remains present as long as Orr and his associates control the city. Orr still retains final say about whether or not, or how, he will restructure the DWSD. Despite the uncertainties of recent developments, Detroit activists have offered us the latest example of how community organizing and mass pressure can extract concessions from non-democratically appointed leaders who resort to extreme austere measures to address municipal failure. The Detroit People’s Water Board is a coalition of twelve political groups from organized labor, environmental and food justice, and welfare rights institutions. Detroit People’s Water Board, “Submission to the Special Rapporteur on the Human Right to Safe Drinking Water and Sanitation Regarding Water Cutoffs in the City of Detroit, Michigan,” (Detroit: Detroit People’s Water Board, 2014), 5-6. American Society of Civil Engineers, Report Card for America’s Infrastructure, 5-6. For a discussion of the federal government’s urban policy reforms see Robert C. Smith’s “The Disappearance of Urban Policy as a Legacy of the Clinton Administration’s Posture on Race” in Racial Liberalism and the Politics of Urban America. Detroit People’s Water Board, 5. Miriam Greenberg, Branding New York: How a City in Crisis Was Sold to the World (New York: Routledge, 2008), 126-127. Jason Hackworth, The Neoliberal City: Governance, Ideology, and Development in American Urbanism (Ithaca: Cornell University Press, 2007), 1-2. The cutoffs, or the threat of, could also have another “unintended” outcome—driving the city’s poor population beyond its reach of governance. New York housing commissioner, Roger Starr, once proposed the concept of “planned shrinkage”—moving poor people out of the city—as a solution to NYC’s fiscal crisis. He was roundly criticized for floating the suggestion. Now, such a result seems in the realm of possibility. See Roberta Brandes Gratz’s The Living City for a brief discussion of planned shrinkage. Two organizations that I am studying for my dissertation about progressives’ responses to deindustrialization and urban crises during the 1970s and 1980s—the Detroit Alliance for a Rational Economy and the Ohio Public Interest Campaign—advocated for the community control of economic development in Cleveland and Detroit. Cleveland activists in the Ohio Public Interest Campaign devised a policy called the Community Reinvestment Act, which called for state government to divest from banks that lent money to corporations outside of Ohio. Instead, they wanted state revenues to circulate in local banks, with the presumption they would lend to local entrepreneurs. Progressive activists throughout the country also called for local control of banks and utilities. Featured image source: Detroit skyline, by George Miquilena. Used according to Fair Use Doctrine. My Nursing Clio post on the right to water in Detroit. One should read this in relation to what’s going on in #Ferguson, what happened to Eric Garner, and also all of the terrible Supreme Court decisions rolling back Voting Rights and punting on affirmative action. They are all related–a systematic rolling back of various rights and liberties for people of color, all transpiring during a moment where many white Americans want to proclaim a ‘post-racial society.’ Political gridlock, social and economic restructuring has made the excessive policing and curtailment of political and human rights of black and brown people, undocumented people, and women instrumental for those who want to dictate how the US comes out of said transformations. Austin McCoy at Nursing Clio puts the recent battles over access to water in Detroit into a historical perspective. McCoy explains that Detroit’s problems are a “product of historical structural and political forces.” McCoy also points to the historical role the federal government played to exacerbate Detroit’s current problems.